precious35 had the most liked content! country music vince gill watches the soaps opera's love reading writting lucy desi betty white ect . happy birthday desi love ya much miss you much!!! sorry I try to post pics of lucy .can t do it!!!!! getting tired . 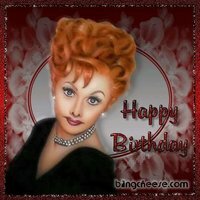 I had a i love lucy christmas birthday got calenders dvds of lucy movies box set. I go on fb book . check out my fb put pics up later don t know how to put them up on hear to show u guys my stuff I got .yeah!!!!!! have a good one. hey lucy desi fans I love lucy marathon starts next weekend check them out on hall mark website wwww.hallmark.com reminder !!!!!!!! can t wait to see them!!!!!! I well take a pics of my new i love lucy calenders I got in the mail got abunch of vg stuff for xmas and hot in cleveland on dvd box set 1 ,2 seasons to. I well post it on my facebook page my calenders I do not know why when I post pics on hear pics too big don t understand that . talk to ya later. merry xmas to u yall. hey lucy fans check out at wal mart stores they have lucy elviss calnders for 2011 out.check them out.I get them around xmas times .bye thought let u all know about i love lucy calenders yay!!!!!!!!! Same to you sweetie, hope all your Holidays are terrific and a very happy belated birthday wish also for you honey. 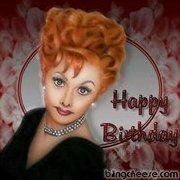 what yours faves i love lucy memories of the shows? precious35 posted a topic in STOP THAT! NOW GO BACK AND SIT DOWN!